A good nutritious soup . Put the chicken bones and chicken breast in a pot filled with water and let it boil . When the stock boils add the chicken cube and ajinomoto and after sometime take out the meat and shred it . Keep aside.Take out the bones and clean them too . Let the stock boil on slow flame till it seems to reduce . Now add the chopped pumpkin and the shallots and let it boil in medium heat . Now add the chicken pieces too . 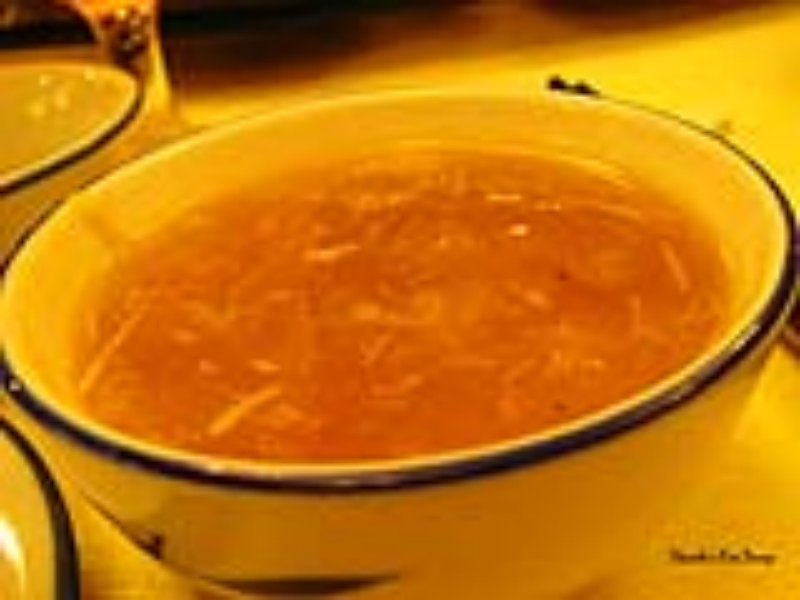 Separately heat a pan add butter then chopped onions in it after sometime add the soften onions to the stock . Adjust the flavour by adding salt and pepper . Mix cornflour with cold water and pour in the boiling soup and stir . Let it cook till thick or the right consistency is attained .